Poznan real estate DoradcaRN, it's not just real estate brokerage, but also housing and insurance houses, certificates and energy audits, free credit counseling, counseling type homestaging, all in one, reference books on the market for the company. The purpose of what sets its any good real estate agency is quick, safe and above all effective associate the transaction and ductwork to the satisfactory completion of its participants or letting houses, apartments in Poznan. Doradca Rynku Nieruchomosci intermediaries operate transparently, effectively and safely. Person representing a transaction always know exactly at what stage is for sale (rent), and that their cases are carried out with due diligence and paying attention to the circumstances and trends. Agreement (preliminary, sale/lease), are constructed in accordance with the prevailing legal and before mutually agreed terms of sale, or lease a specific property in Poznan. In addition to the possibility of favorable prior insurance real estate (apartments, houses, commercial buildings, homes under construction) our free agency Advisor helps you in choosing the proper credit. On behalf of our customers we also energy certificate for buildings and premises (necessary for objects placed into service after 1 January 2009). 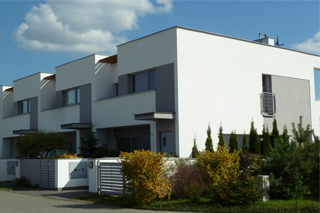 Real estate agency Doradca Rynku Nieruchomosci operates mainly in Poznan and the immediate area of the city (adjacent to the municipality). Feel free to use the services of the Office of the real estate agency operating in the local market since 1999.